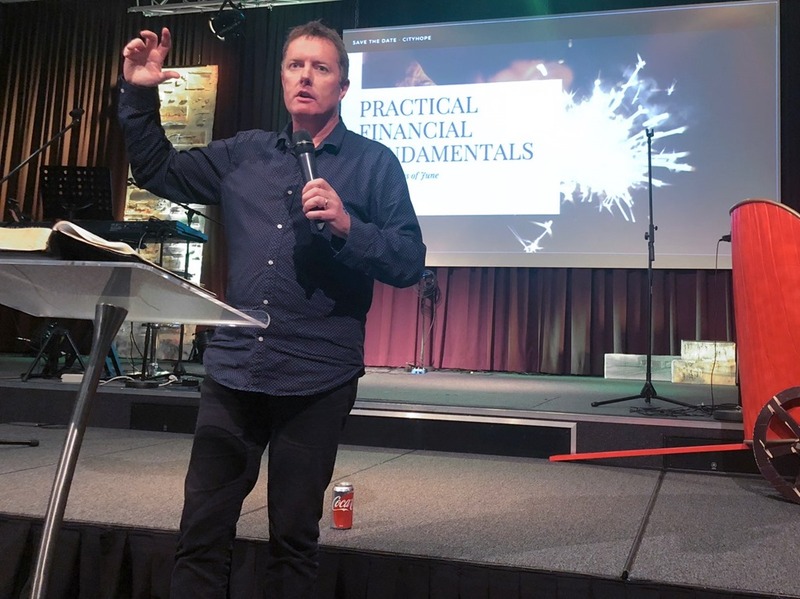 Home › Australian › Financial Seminar Notes: How to do better with what you already have. Introduction: The following is meant to be general information in nature. I am not a licensed Financial Planner nor am I aware of your specific financial situation. Please consider this only as general information. These are the notes from a seminar I did at CityHOPE Church on Financial Fundamentals. My heart in putting this two hour seminar together was to help people do better with that they already have. 8 “The rich man had to admire the dishonest rascal for being so shrewd. And it is true that the children of this world are more shrewd in dealing with the world around them than are the children of the light. It is saying that Christians aren’t good in managing money and related issues compared to non Christians. As a Christian this story and Jesus’s conclusion offends me. It shouldn’t be that way as the bible is filled with great money management advice. So, if you want to be better managers of money, here is summary of the advice that the bible gives to us, on money and money management. (Then there is the Second Section which I am focussing on practical and Australia 2018 specific). The bible tells us many times through Proverbs, that we should get wisdom. We need to educate ourselves on money, how it works, the principles of increase and on how to manage what we have better. It seems we are more willing to pay for tangible products that intangible. We pay for petrol and food and for the tradesman to fix something on our house but when it comes to advice, we are often reluctant to hand over the money just so someone can tell us something. My advice is (and this is free) – pay for advice. And in a multitude of counsellors there is safety. Don’t try and work it out yourself, get help. Pay a financial advisor. Pay an accountant to do your taxes etc. Pay for a full service Stockbroker. If you try and do this on the cheap, well, you get what you pay for. One of the main thoughts behind this apart from you are more likely to get quality advice – is that you value what you pay for. Reality is that this blog is free and so most people will read it and go – that’s nice – but imagine if I was charging you $1000 to read this biblical advice blog – you would read it and re read it until you have squeezed all the juice out of the orange, so to speak. Good debt is where you go into debt to buy an income producing asset. Such as an investment property. Bad debt is where you go into debt to buy a depreciating asset like a car, or anything that does not produce an income – like borrowing for a holiday. There is a story in the bible of a lady who God told to go into debt. But it was good debt and it was going to produce an income for her and her family. And he said to her, “There is not another vessel.” So the oil ceased. Her ability to go into debt, determined her future income source. In terms of you, me and money management, we need to minimize bad debt and utilize good debt when opportunities arise. (For the record just because you borrow to buy an appreciating asset….doesn’t mean that you will automatically make money – that’s my disclaimer). There is a story in the bible of a Businessmen named Simon Peter, who owned a fishing business and Simon Peter owned a boat. One day, they had a huge catch. God blessed them. Now because Simon Peter owned the boat, he then owned the catch. If Simon Peter was just an employee, then he would have just got his wages at the end of the day. Here is the story. So it was, as the multitude pressed about Him to hear the word of God, that He stood by the Lake of Gennesaret, 2 and saw two boats standing by the lake; but the fishermen had gone from them and were washing their nets. 3 Then He got into one of the boats, which was Simon’s, and asked him to put out a little from the land. And He sat down and taught the multitudes from the boat. 5 But Simon answered and said to Him, “Master, we have toiled all night and caught nothing; nevertheless at Your word I will let down the net.” 6 And when they had done this, they caught a great number of fish, and their net was breaking. 7 So they signaled to their partners in the other boat to come and help them. And they came and filled both the boats, so that they began to sink. Now I am not saying we should all run out and start a business as it’s just not that simple – but I am sharing with you a biblical principle of money management. The potential is greater in Business than as an Employee. The proliferation of get rich quick schemes illustrate the propensity of mankind to want to take the short and easy road to prosperity. Money guru Paul Clitheroe is quoted as saying “Get Rich Slow”. Love it. Reality is that getting ahead in life financially takes some hard work. Let’s look at what the word of God says about it. 9 How long will you slumber, O sluggard? He will beg during harvest and have nothing. Open your eyes, and you will be satisfied with bread. But he who follows frivolity will have poverty enough! But he who hastens to be rich will not go unpunished. So you need to work hard and don’t look for the easy path. Remember when it comes to wealth and investing – if it sounds too good to be true, it probably is. So many people I talk to speak negativity and death over their finances. “We will never get ahead. We will never be able to afford that”. Etc etc. The bible says that death and life are in the power of the tongue (Proverbs 18:21) so we need to stop speaking death and start to speak life over our money. The bible warns the Children of Israel about forgetting God when they were blessed. I think this is a sobering thought. We need to keep it as a priority to honour God with our finances. The bible does talk about the principle of sowing and reaping, we often want to reap but not so much sow. There is much to be said about building generosity around your life and the impact that that has on others and also on your own world. Be generous not only with your money but be generous in all areas of life. I remember Paul Clitheroe years ago saying that one of the greatest destroyers of wealth is divorce so if you want to create wealth – stay married. The bible does say this too. I am a fan of setting goals for my finances and my giving. The bible suggests this is a good idea. But those of everyone who is hasty, surely to poverty. All financial advisors, accountants etc all suggest that every person has a budget to help them maximise their money management ability. The bible encourages us to do the same – just with slightly different language. There are some great online tools and apps. The bible speaks of ants being exceedingly wise – and the reason for this accolade – they don’t eat ALL their food, but they save some for when food is scarce. We should do the same. Save some of our money each week for when money is scarce. I don’t think it is wrong theology or wrong practise to believe God for our finances. Asking Him to bless us and bless the seed we have sown. We need to remember that prosperity is for a purpose. V 6, Now the land was not able to support them that they might dwell together, for their possessions were so great that they could not dwell together. Now may he who supplies seed to the sower and bread for food, supply and multiply the seed you have sown and increase the fruits of your righteousness, while you are enriched in everything for all liberality, which causes thanksgiving to God. …as a man thinks in his heart so he. a) The Son – was a waster – prodigal means to be wasteful. b) The Prodigals Brother – was a hoarder – he was tight – he had a poverty mentality. He begrudged someone else being blessed. This is common in Australia. c) the Father – the user. A generous man. A sower. John Maxwell says: Leadership doesn’t develop in a day – it develops daily. with Marriage, Dieting and Wealth creation! Wealth is not created in a day – but is it created daily. Watch what you spend each day. What wealth did you create today…..it be as simple as put $5 into savings. The aim here is not to die rich but to die with great memories having been generous throughout our life. Debt put enormous pressure on families – it is so easy to get into and it takes forever to get out of debt. Proverbs says the borrower is servant to the lender. I am not anti-debt. I am anti being a slave to debt. Make sure you make the monthly payments and ensure those payments will pay the loan off in the required period. Otherwise you can be back charged all the interest. Always pay on time as they can punish you for being late. These kind of fees are the ways that the companies make their money. Don’t think that just because you have been with an organization for a long time that they are giving you the best deal. Companies assume the loyalty of their customers, so they screw them over. Story. I was paying $100 a month with Telstra for 250 gigs of home internet. We kept exceeding the limit which was costing us. So I rang them and asked what it would cost for 500 gigs. I think at the time it was going to cost an extra $30. So I went to Optus who gave me 1000 gigs for $99. 3. Avoid Nimble and any pay day lenders. So $1000 over 17 days is going to cost me $240 or to say it another way 24% over 17 days. If we annualised this it would be shocking – but to be fair we won’t do that. We will let Nimble do the talking. Again from their website we discover that for that $1000 the cost breakdown is 20% of the principal for Loan Establishment Fee and then 4% a month INTEREST – oh wait they call it “Monthly Loan Fee.” Well this “Monthly Loan Fee” works out at 36% per annum in addition to the 20% Establishment Fee. Which is a huge amount of interest on an apparent “Interest Free” product. Here are the links to my blogs on Payday Lenders. The cheaper interest rate cards normally have things like annual fees etc which is how they can afford to be cheaper. I personally think its criminal that we are paying 3.89% for a mortgage but 22% for credit cards. The Australian Public is being ripped off. On the 11th April for example, AMEX cut their interest rates on their credit cards to 9.99 % in the US. 5. Ask your bank for an interest rate reduction. On your mortgage or personal loan – ask your bank for an interest rate reduction. Or go and see another bank and say if I change over – what interest rate would you offer me? My bank dropped the interest rates on my mortgages by 1% simply because I asked. Right now, if I suddenly couldn’t work – let’s say due to a motorcycle accident I would be in trouble financially after a month or two. (They say you should have three months income saved as a buffer – I am working on that but not there yet). It would mean that everything I have worked for could all be lost. So it’s important for me at this stage of life to have income protection. And to have Life Insurance so if I was killed my family are looked after. Most superannuation policies have some life insurance built in but generally not Income Protection. You need to know what you have and what you don’t have. Particularly once you hit the 30’s, it’s time to get serious so that you retire well. The super your employer puts in for you is not enough for you to retire financially independent. 8. Don’t be vulnerable – no Nigerian Money scams. If’s it’s too good to be true….it probably is! Also be careful when friends tell you about their latest investment that they are into. This is related to the last point. 10. When you hire a car – make sure you check over the car – otherwise you can be hit with damage you didn’t do. 11. Protect your financial details and your identity. Be wise with what you just throw into the bin in terms of bank details and identity details. Also be super wise with what you share on Social Media….Things like Birthdays etc. For $30 you can buy a shredder. 12. Give up trying to keep up with the Jones…. We buy things we don’t need to impress people we don’t like…as they saying goes. Often our life style expands to just beyond what we can afford which means we are forever serving the god of Materialism. 13. Keep your financial integrity. Keep your financial integrity: for example on your taxes or if you are undercharged for something. Speak up. Be careful what you sign up for – that has a monthly subscription. Apps and online subscriptions that automatically renew. I got burned when I let Laura sign up for a membership with a kids website only to discover it was a monthly subscription that had been constantly renewing. 15. Don’t give your young children online access to things like your Apple Account. One of my daughters like the game Dragan Vale and she was on my Apple Account and ended up spending a lot of money buying items for her game not realizing it was with real money. We ended up with a $540 Dragon farm!! Start an electronic money box. Open a bank account in a bank you don’t normally bank with. (this is so you are less tempted to take it out). When you are doing internet banking, skim your accounts and take your account down to the nearest $5 or $10. So, if you have $68.40 in your account, transfer $3.40 into your money box account. You won’t miss the money and it accumulates for one of your savings goals. 17. Debt is super easy to get into but takes years to get out of. I am not here to solve an age old debate….here are a few thoughts. 4) No on-going Maintenance or tenant issues. goes broke and you lose or your money. Some will argue the returns are better for property than shares and others will argue that shares are better….I am not getting into that argument. Buy in a market you know. Don’t buy a fixer upper unless you are really good with your hands and can do a lot of the work yourself. If you can, manage it yourself. Don’t give people without a rental history a go. It sounds brutal but every time I did this, I got financially screwed. Do not let tenants get behind in their rent: regardless of their sad, sad story. Again every time, I gave grace on this I got financially done over. Dying rich should not be your goal. Dying with great memories should be. $5 for a 5 year old. And then a dollar increase for each year of their age. Teach them to tithe, be generous and save. 22. Do reward cards actually matter? No they don’t. Do you think companies are going to give you something that really matters…Nope. They are in it for profit. Look for areas of your financial expenditure that is not producing what it once was. It might be things like Cable TV, a second fridge, an inefficient heater. My power bill dropped $300 when I turned my second fridge off. 24. Teach your kids to turn off the lights when they leave the room. When you have done that, please come and teach my kids because I have failed in this area. I have seen major issued caused when a person didn’t have a will and died unexpectantly. Change regularly is my advice. 29.Have a hobby. Be interesting. Save for the “rainy day”. Hope there were at least two or three things in that list that will help you in your finances. If you found this blog helpful, informative or inspirational then I encourage you to share it on Social Media. I also invite you to subscribe to my blog so when I post in the future you will receive the blog as an email. I also love connecting through social media so find me on Facebook, Twitter or Insta. (just use my name). A Meditation On The Story of Jonah–From A Recent Sermon I Preached. I Support Euthanasia and I am Against it at the Same Time. Be Inspired by These Amazing Bible Illustrations. Peter Pilt’s Trip to Israel and the West Bank with World Vision. Honour Killings–Are they rooted in Islam? ‹ Should Men be allowed into Women’s toilets? WHY THE HELL ARE WE EVEN ASKING THIS QUESTION?????? (There is some swearing in this blog). Brilliant. Thanks for the feedback.